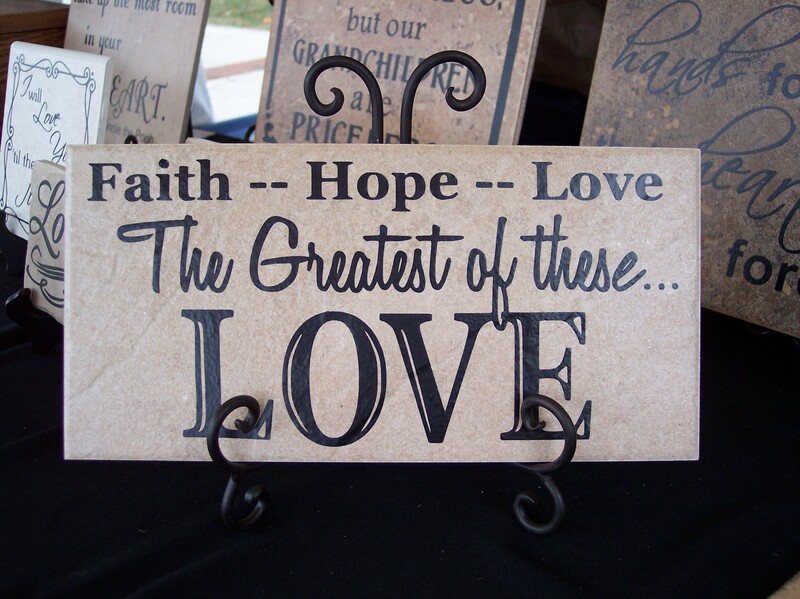 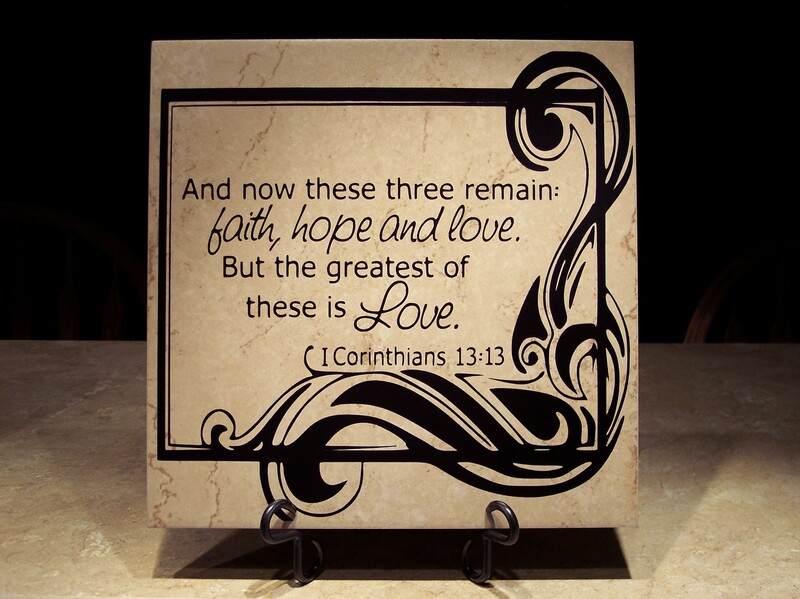 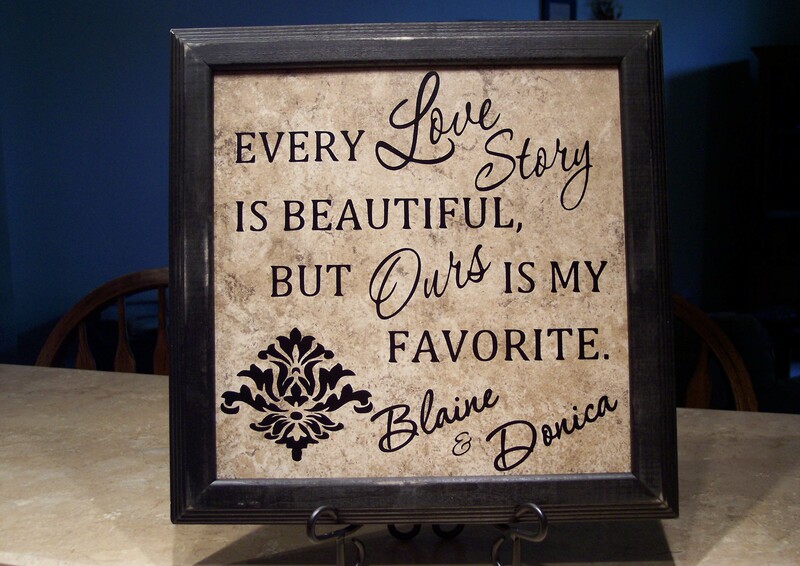 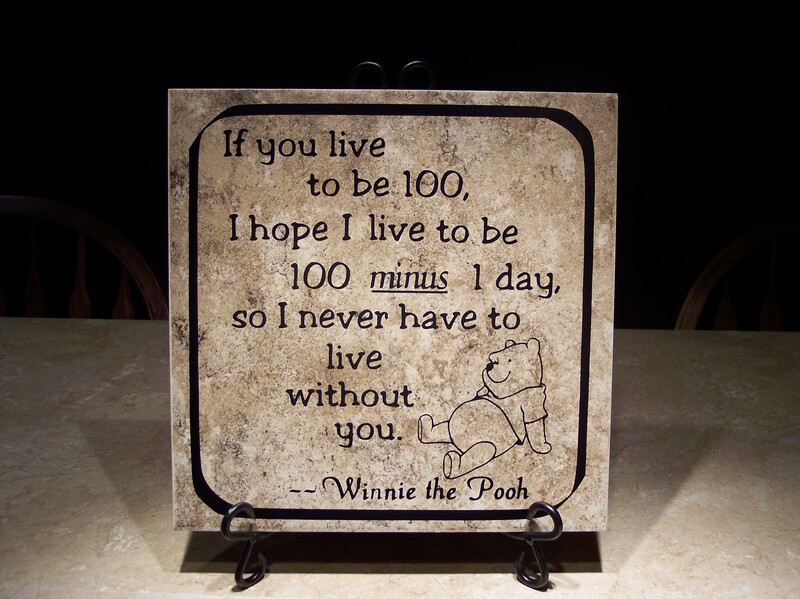 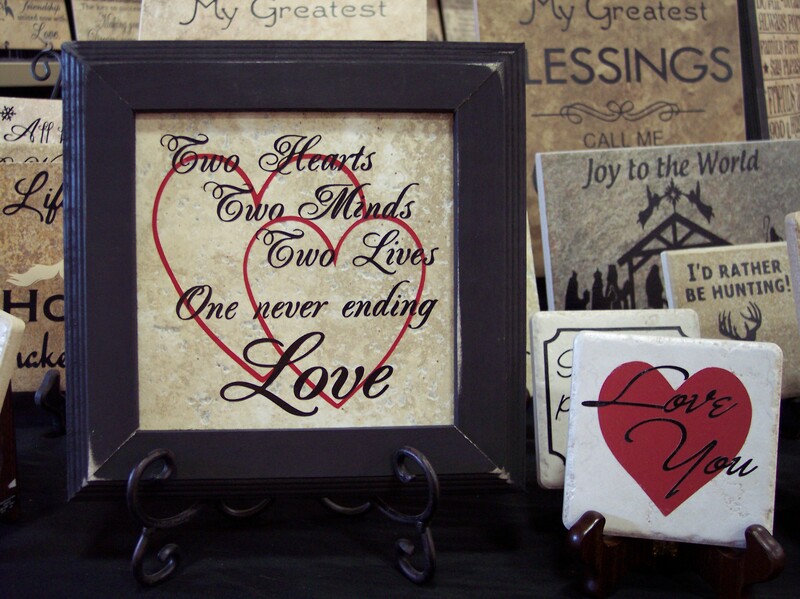 Personalized Wedding Tile–The greatest gift to give is Love. 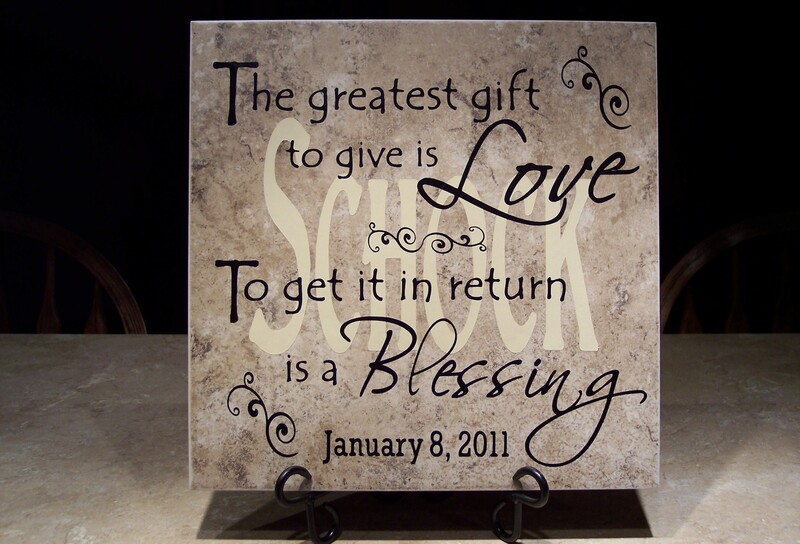 To get it in return is a blessing. 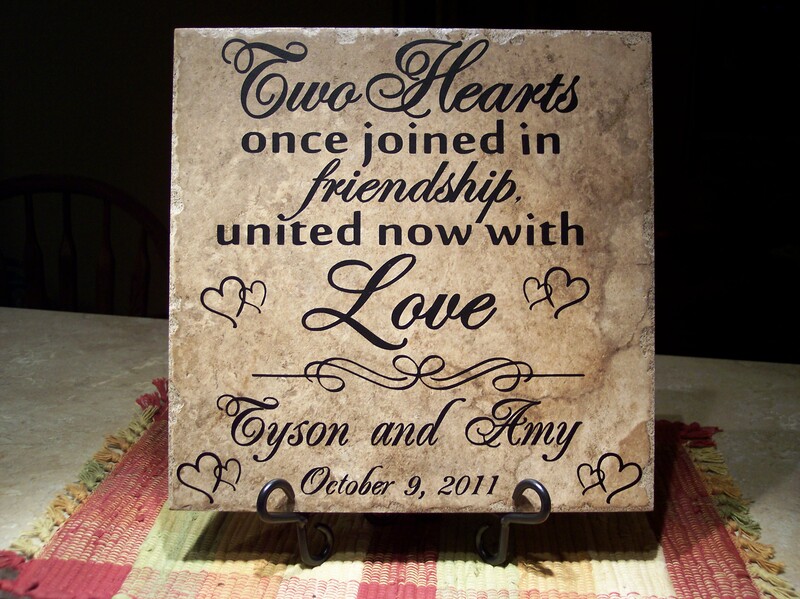 12″ personalized tile with name in background – $28. 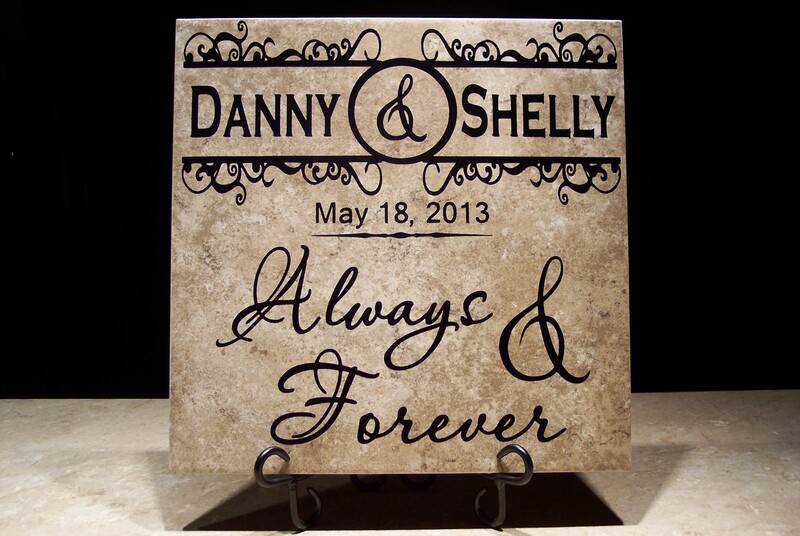 For this wedding gift, we were also asked to make a small matching tile with the couple’s daughter’s name on it – $15. 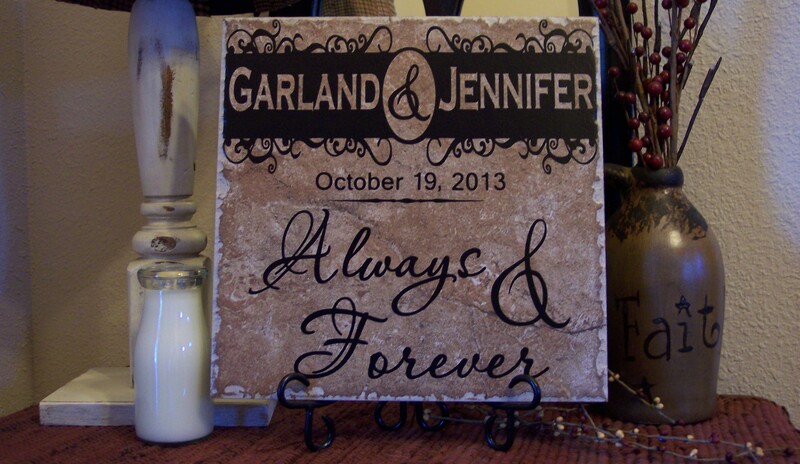 We could also use this same small tile design and put the bride’s & groom’s names on separate 6″ tiles to be displayed beside their big 12″ tile. 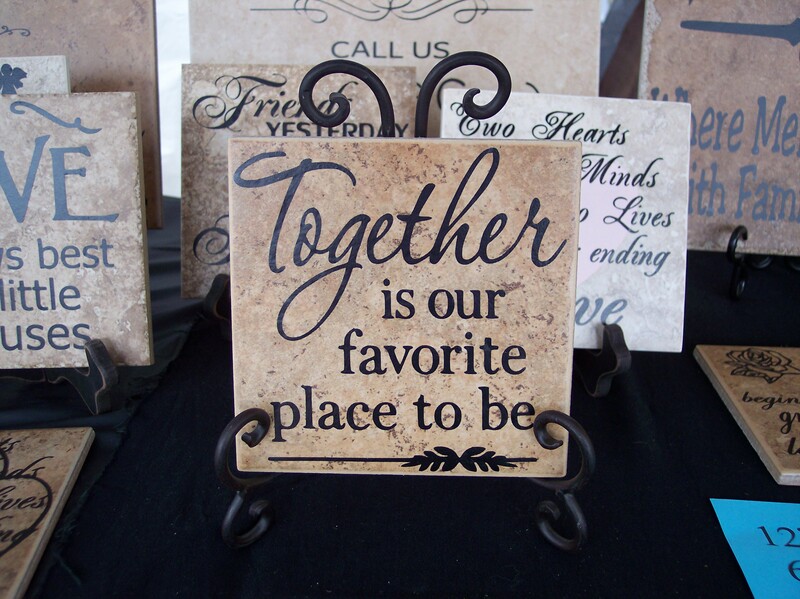 Just contact us at oreillytiles@gmail.com to discuss the possibilities! 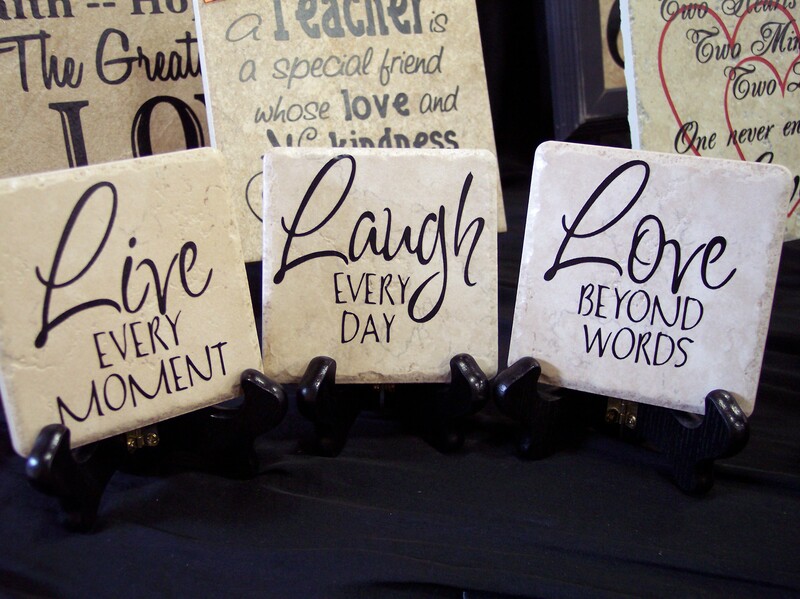 12″ tile – $25 (Yes, this one is a little higher because it takes FOREVER to get all those letters on there but it is well worth it!!!) 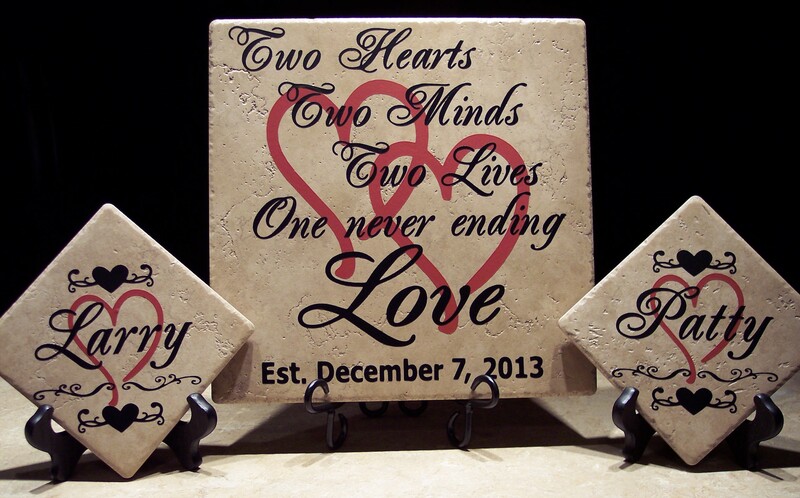 The tile in this photo is actually a 13″ tile instead of a 12″ tile. 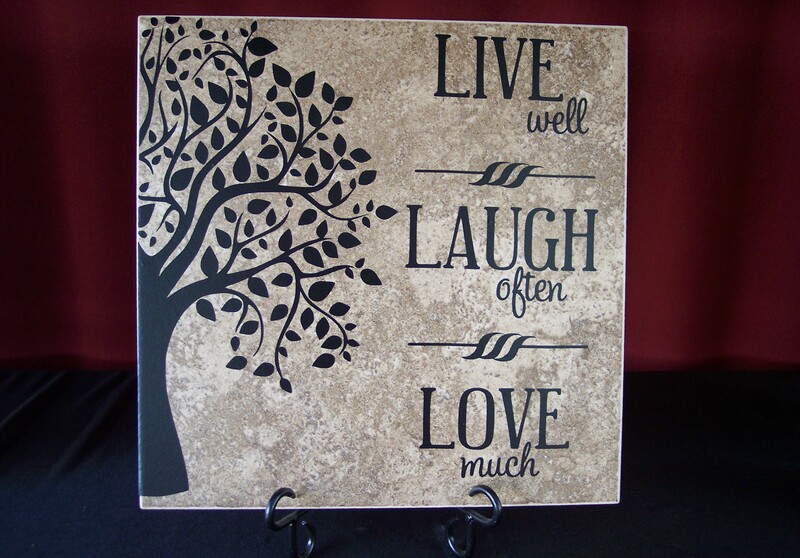 We will not ship 13″ tiles, but if you’d like to pick one up just let us know and we’ll be glad to fix it on a 13″ tile for you! 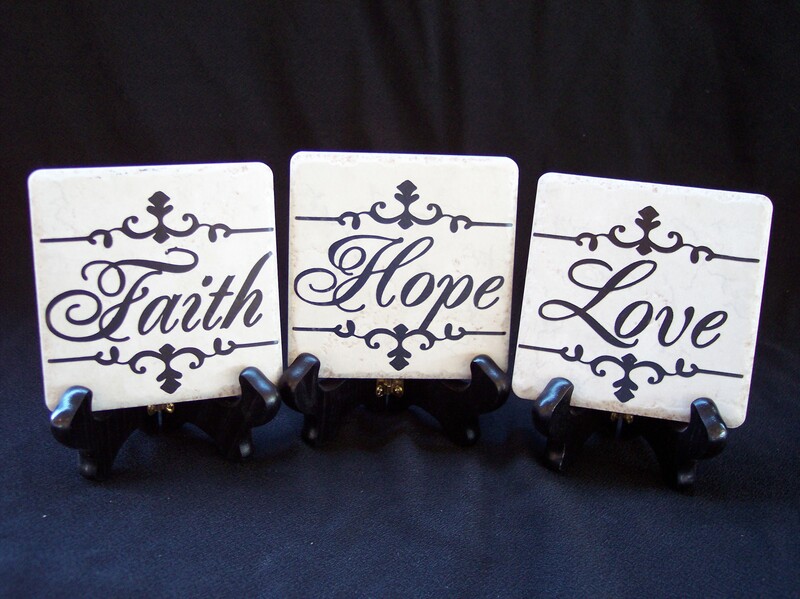 NOTE: THIS TILE CAN BE PERSONALIZED AT NO EXTRA COST TO YOU! 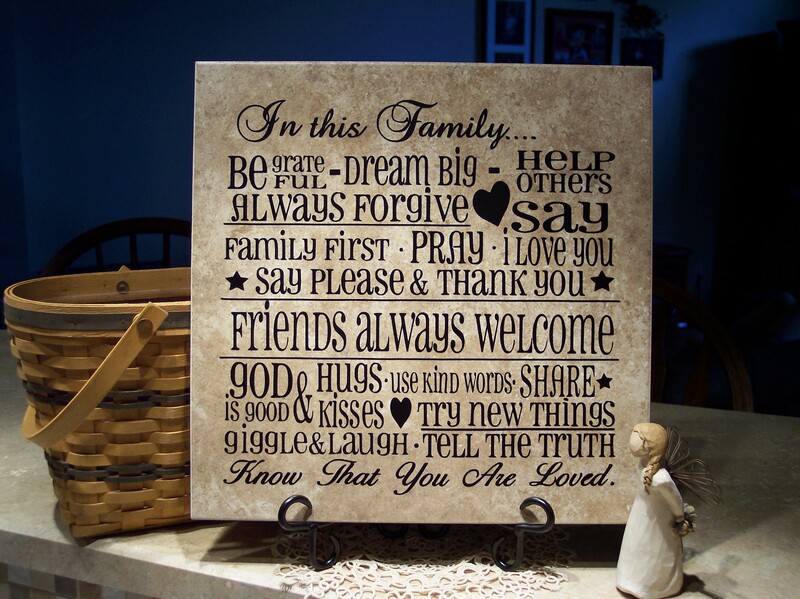 We remove the line in the center that says “Friends always welcome” and insert your family name. 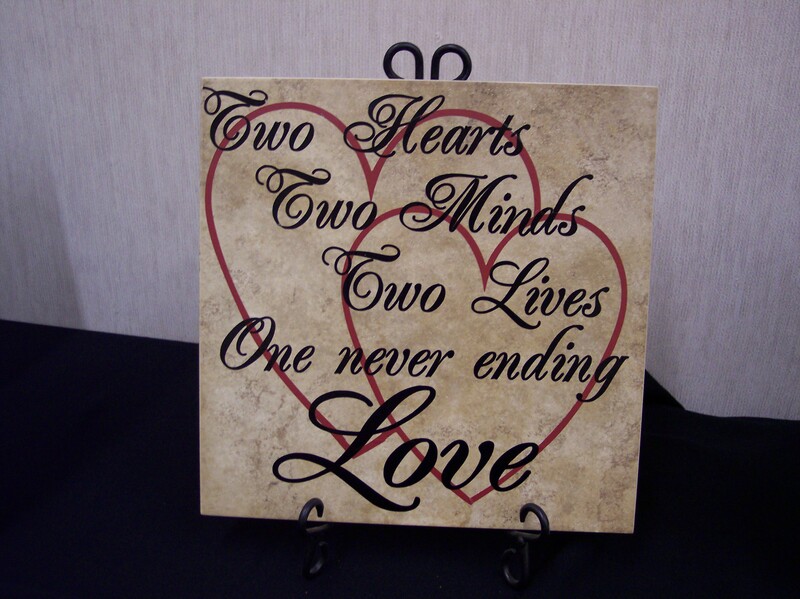 For example, it will say “The Andersons”. 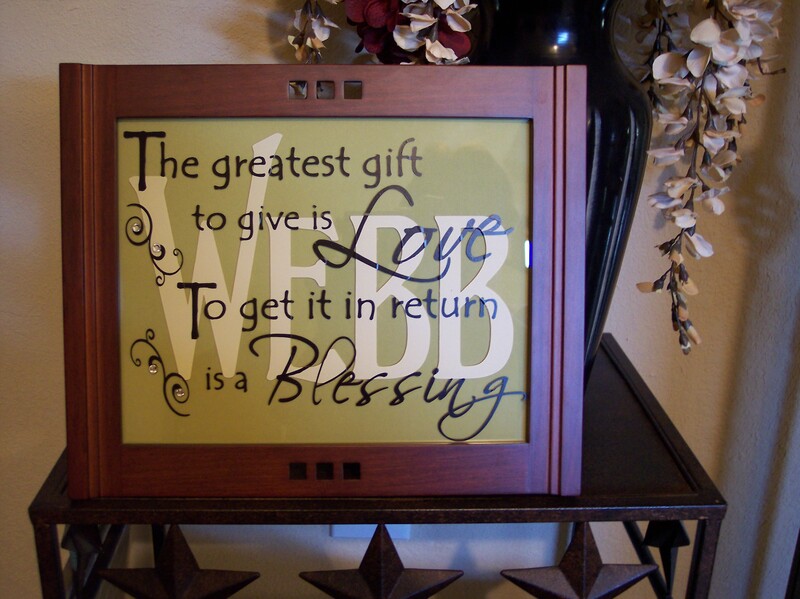 Look under the personalized tab to see a photo of personalized version. 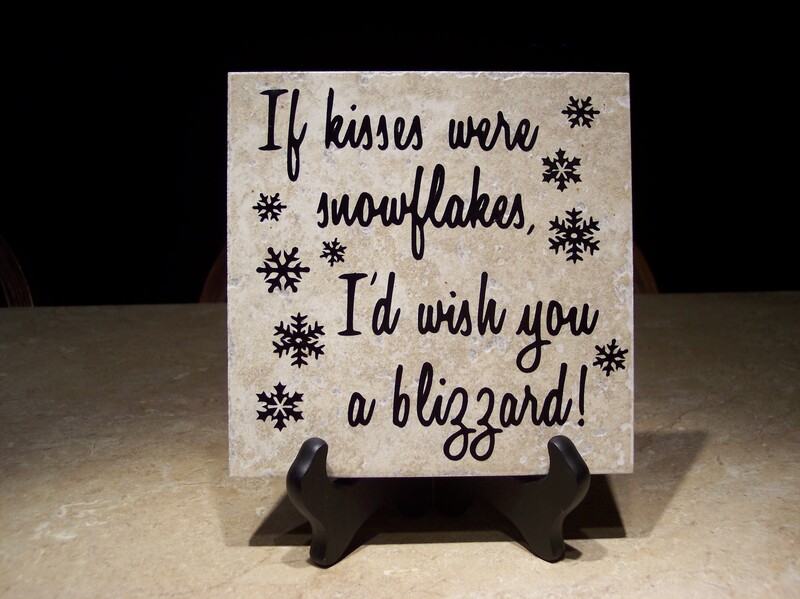 If kisses were snowflakes, I’d wish you a blizzard!